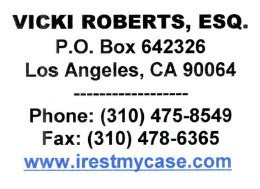 Los Angeles lawyer Vicki Roberts lost her case before the TTAB when she appealed the PTO's refusal to register her alleged mark irestmycase (in non-standard character form) for legal services. The Board agreed with Examining Attorney Steven W. Jackson that, as it appears on Applicant's specimens of use, irestmycase fails to function as a service mark under Sections 1, 2, 3, and 45 of the Trademark Act. In re Vicki Roberts, 87 USPQ2d 1474 (TTAB 2008) [precedential]. 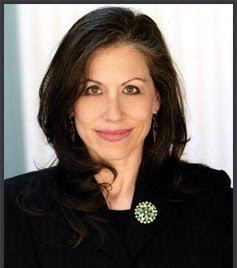 "In the case before us, irestmycase.com appears along with applicant's other contact information on her letterhead, and is specifically identified as one of her Internet website addresses or 'legal service portals' by means of which 'she can be reached' on her Internet message board. However, in neither [substitute] specimen is irestmycase used at all, or www.irestmycase.com used to indicate the source of applicant's legal services. Rather, such designation as it appears on her substitute specimens simply serves as an address by means of which one may reach applicant's Internet website." The Board noted that irestmycase could serve as a source identifier, if used in a way that the designation would be perceived as a mark. But Ms. Roberts failed to do that.